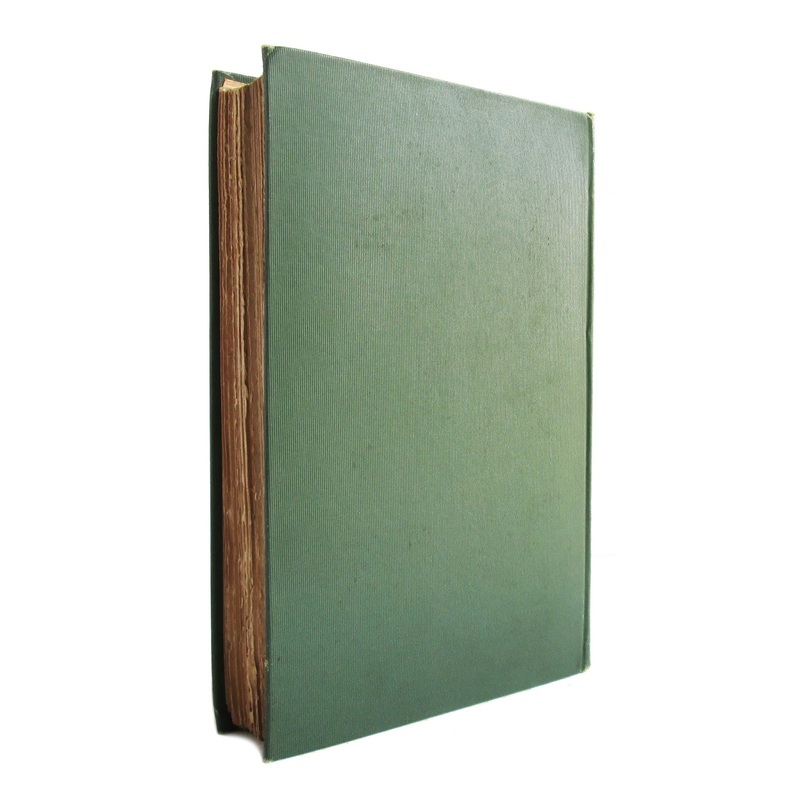 This book has some cover soil and edgewear; front endpaper is excised. Frontispiece is a portrait of Longfellow. 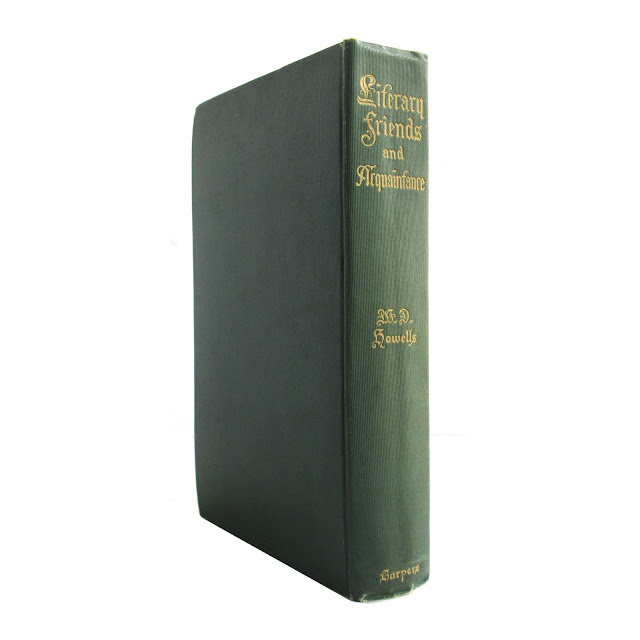 Illustrated with black-and-white plates. 288 pages; approx. 6"x8". 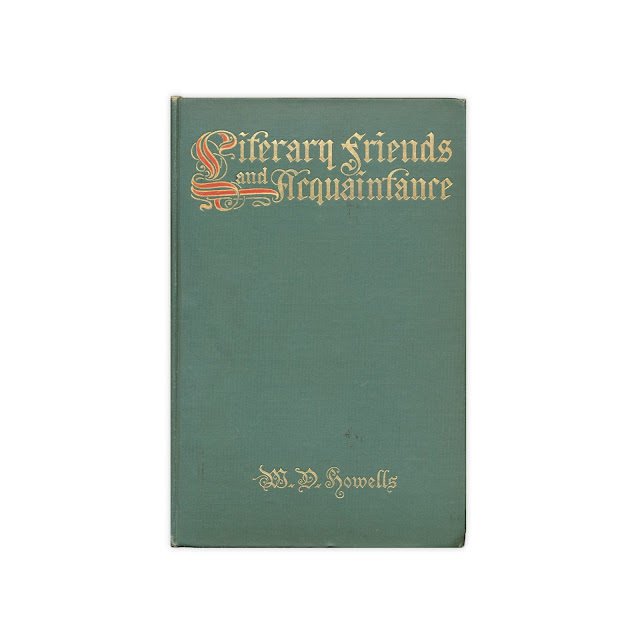 Literary Friends and Acquaintance is a collection of essays on American literature and authors by William Dean Howells. 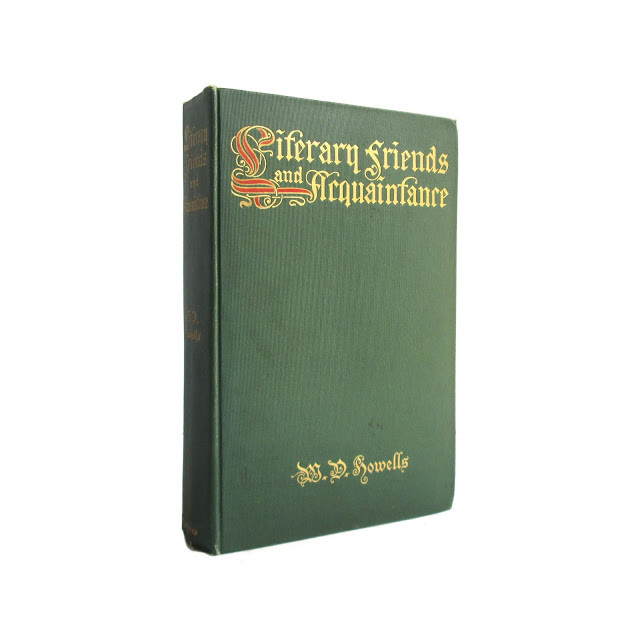 Most of these essays were originally published as magazine pieces, starting in 1894, and were first collected in book form in 1900.